Both of them aims at the same thing - micro-exfoliation/peeling effect to unclog pores and reveal better skin. Yes, the same thing is written in fancy words all over! I am more of a 'scrub and moisturize' kind of person. Sadly, my oily skin was not able to take that in a good way. I will see a new pimple every other week. That being said, I never had a pimple while growing up so, it was a lot to deal with. Lush Aqua Marina helped a lot but sadly, Lush is not sold anymore in India so, I have to discover something else to work wonders on my skin. After it got over, I purchased astringent from Vichy. I got the same love from Vichy that I got from LRP. Effectiveness - Both of them are products that made a difference is my skin from the first usage. They fight acne, reduces oil production and help in minimizing pores. 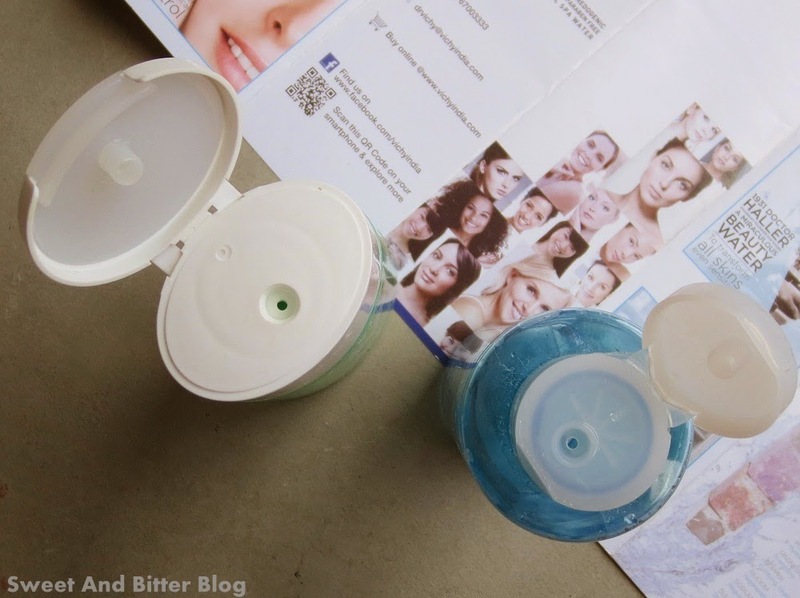 Yes, they have helped in reducing pore size to some extent as my skin was no more an oil tank. Both have almost the same (if not exactly the same ingredients) in them. I found them equally effective. Feeling on Use - LRP stings more compared to Vichy. Vichy gives a very mild stinging feel. 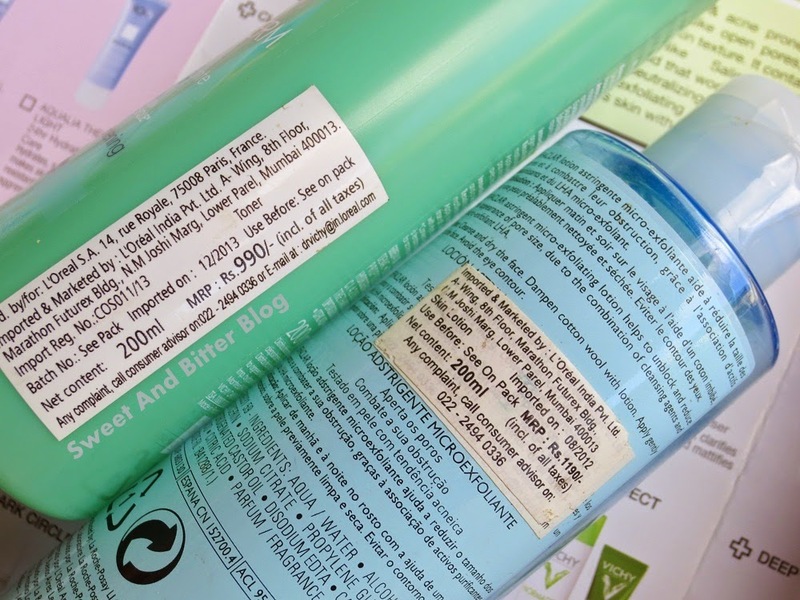 Though LRP sting is more than Vichy, the stinging feel is mild and tolerable (not like Neutrogena Deep Clean Toner). If I use the LRP continuously for around 7-10 days then my skin begin to get really dry. Because of that and the sting feeling, I skipped LRP at times. I never skip on Vichy. So, I do think the amount of alcohol might be more in LRP as compared to Vichy. 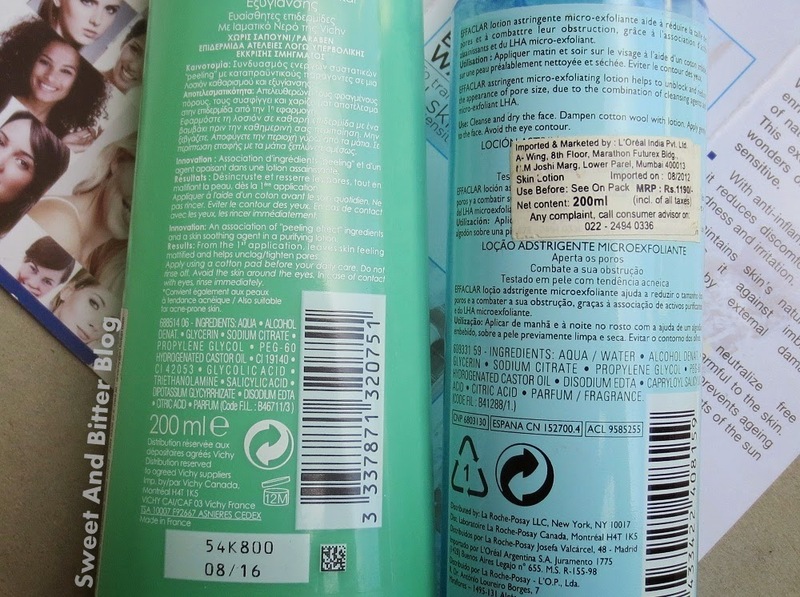 Ingredients – La Roche Posay Effaclar Astringent Lotion and Vichy Normaderm Purifying Pore Tightening Lotion have almost the same ingredients. 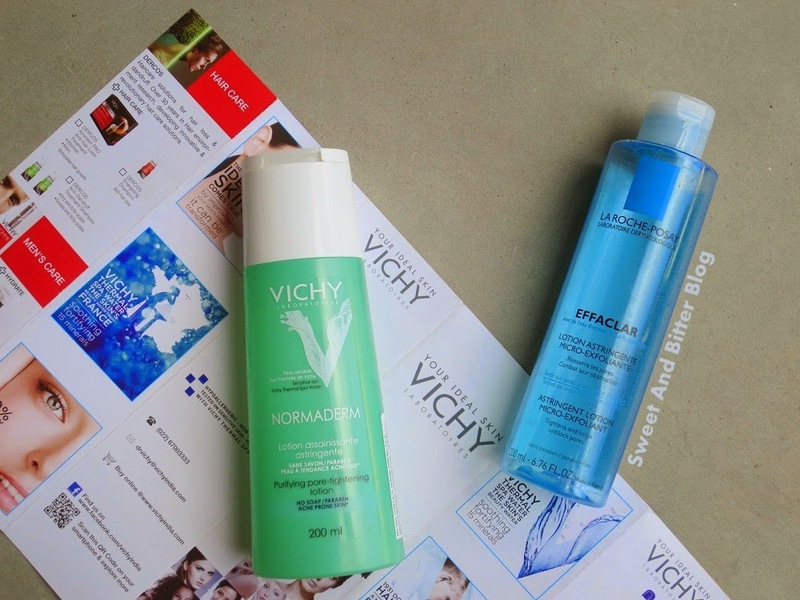 Few Points Ponder - La Roche Posay Effaclar Astringent is free of colors but Vichy contains more colors than Salicylic Acid and other important acne-fighting ingredients. Interestingly, both have perfumes though they both aim for sensitive skin. 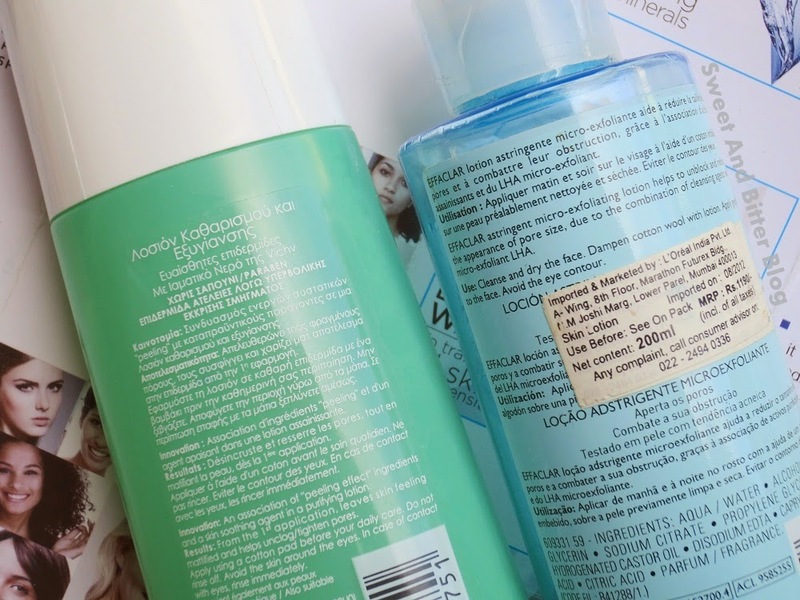 Overall - I used La Roche Posay Effaclar Astringent first. Back then I had skin where you can see a new pimple coming up every week. So, LRP did a lot of work and recovered my skin. When I started Vichy, I already had good skin to begin with but the acne issues never came back. As I have personally seen LRP help recover my skin from acne to a great extent and fight future acne, I will suggest using La Roche Posay if you have a bad acne case and can tolerate the sting. If not, then go safely with Vichy.